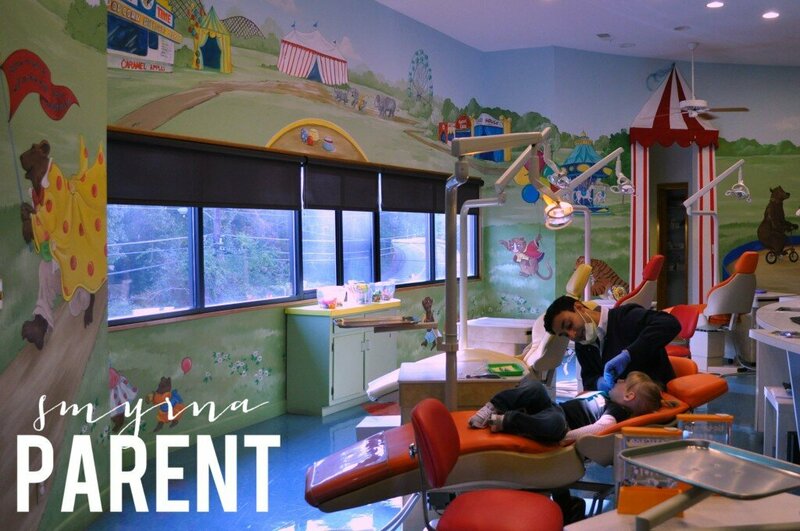 At what age should you bring your toddler to the dentist? As new parents, we gaze in awe at the face of our newborn baby. A few weeks later, our hearts swell even more as they give us their very first gummy smile. And a few weeks after that, we become engaged in The Great Tooth Watch as every drop of drool, item shoved in their mouth, or bout of grumpiness unleashes an inexplicable obsession with what is going on in their tiny mouths. And once those precious teeth start popping through, the obsession continues into toddlerhood. There is the inevitable moment when they teeter totter over to a table and crash mouth-first into the one edge that was left uncovered. Or maybe it’s paci or thumb-sucking related dental issues that worry you. Maybe you’ve heard that juice is the devil but want to give your toddler some prune juice for…well, you know…and you’re worried that you’re destroying their enamel in the process? Such a focus on those little pearly whites, and yet there’s a good deal of confusion and misinformation about when they should start seeing a dentist. So to help clarify, I asked Dr. Aaron Schwartz of Schwarts Dentistry for Children and Young Adults for some information. The American Academy of Pediatrics(AAP), the American Academy of Pediatric Dentistry (AAPD), and the American Dental Association (ADA) all recommend your child first see a dentist at age one. Many of these practitioners, dentists and physicians alike, may not be well versed in the most recent guidelines and may recommend that your child first see a dentist at age three. However, dental decay and facial growth issues can be well advanced by age three. Pediatric dentists strive to prevent disease and injury, and strive to have your child’s jaws and face grow under ideal conditions. Just like pediatricians, pediatric dentists have advanced and specialized training in understanding and caring for children’s oral-health needs. The main mission of pediatric dentistry, I believe, is PREVENTION! By age three, your child may already have dental caries (cavities), and may already have growth and development concerns related to a prolonged thumb-sucking or pacifier habit. 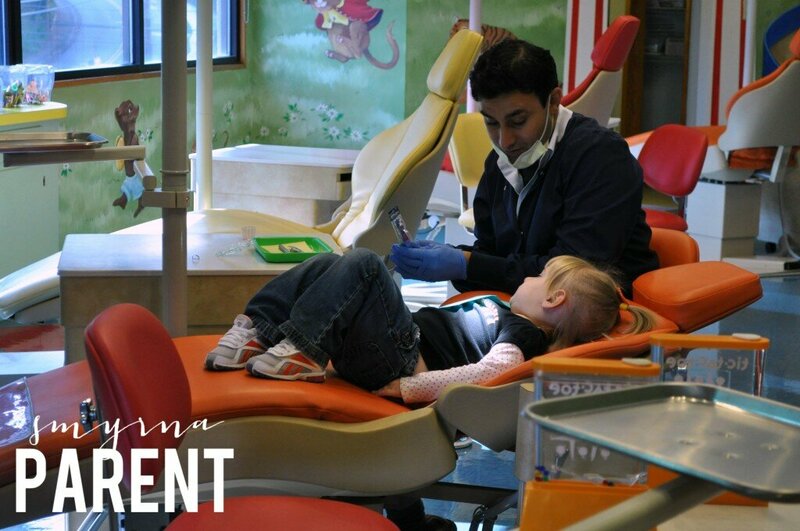 By establishing this “Dental Home” at age one, the prevention guidance can be employed, at home, early in life. The earlier these preventive tactics are employed at home, the more meaningful and powerful they become. Prevention starts as soon as the first tooth arrives in the mouth! Also, if your child suffers a dental emergency (i.e. broken tooth, pushed in tooth), you know exactly who to call. During the age-one visit, I not only complete a thorough oral exam, but I also spend much time with the parent(s) discussing ways to ensure healthy teeth and gums, and make recommendations to help guide proper facial growth and development. Essentially, I look to identify any risks that may be associated with potential future oral-health problems. I discuss with parents and caregivers ways to help minimize or ameliorate these risks, and I will recommend maximizing at-home practices that will help protect teeth and gums, and/or help guide proper growth and development. You can read more on the Age One visit to the dentist, on the American Academy of Pediatrics website. Personally, I’ve seen the early exposure and super relaxed atmosphere have created a very positive association with the dentist. And, yeah, I’m sure the new sparkly purple princess toothbrush helped too.